This conflict has been escalating since the start of the Arab uprisings in 2011 and is driven by a combustible blend of geopolitical competition, religious sectarianism, and nationalism. From the surprise resignation (then un-resignation) of Lebanese Prime Minister Saad Hariri to the intra-Gulf crisis with Qatar to the battle for influence in post-Islamic State Iraq and the vicious civil wars in Yemen and Syria, the signs of the regional battle royale between Saudi Arabia and Iran are everywhere. This conflict has been escalating since the start of the Arab uprisings in 2011 and is driven by a combustible blend of geopolitical competition, religious sectarianism, and nationalism. While the United States is not the primary actor in this fight, it has an important role to play. President Barack Obama failed to de-escalate the conflict by trying to get the two sides to share. President Donald Trump's strategy of taking a confrontational approach with Iran while giving Saudi Arabia unconditional support has further exacerbated the situation. A policy that lies somewhere between these two extremes is more likely to succeed. The rivalry between Iran and Saudi Arabia has long been a feature of Middle Eastern geopolitics, but the rivalry kicked into overdrive after the start of the Arab uprisings in early 2011, as security and political vacuums opened up across the region and the two rivals raced to support the various state and nonstate actors most amenable to their interests. When the uprisings began both sides felt insecure. Iran feared that the loss of its closest Arab ally, Syrian President Bashar Assad, would cut off its supply lines to Hezbollah and dramatically weaken its influence in the Levant. And Tehran saw the rise of the Islamic State in 2014, which came within 20 miles of Iran's border, as a national security emergency. But Iran also saw opportunities to undermine the current regional order to its advantage in places such as Bahrain, where the majority Shia population protested against the ruling Sunni royal family, and in Yemen, where Iran had relatively weak ties to the Shia Zaidi sect, but viewed instability and conflict as weakening and distracting Saudi Arabia. The Saudis were also unnerved by regional events. The fall of Mubarak in particular rocked the Gulf monarchies, which saw the United States as abandoning a reliable but authoritarian partner and feared they could be next. They saw Iran's hand in much of the unrest and were particularly concerned about their own Shia minority in Eastern Saudi Arabia. But they also saw opportunities, especially in Syria, to overthrow Iran's closest ally, leading Saudi Arabia to actively support and arm Sunni opposition groups early in the conflict. The end result has been that in the past seven years nearly every major conflict in the Middle East has had some flavor of Iranian-Saudi competition: the Syrian civil war, the war in Yemen, sectarian political competition in Iraq that ultimately led to the rise of the Islamic State, the Saudi-led intervention to crush protests in Bahrain, the execution of Saudi Shia cleric Nimr al-Nimr and subsequent sacking of the Saudi embassy in Tehran (followed by a break in Saudi-Iranian diplomatic relations), the Gulf Cooperation Council-Qatar break, and recent events in Lebanon. In most of these instances Iran-Saudi competition was not the initial spark that lit the fire. But by again and again choosing sides, taking a hard line, and providing money, weapons, political support, and sometimes intervening directly with their militaries, Saudi-Iranian competition has acted as the gasoline causing these conflicts to explode. Obama famously told the Atlantic's Jeffrey Goldberg that Iran and Saudi Arabia needed to learn how to "share." But unfortunately this approach failed to get either side to step back. Obama chose to prioritize containing Iran's nuclear program, which was the right decision. A nuclear Iran would have dramatically escalated regional competition, causing Saudi Arabia to possibly respond with its own nuclear program. It would have created a dangerous nuclear competition between Israel and Iran, which would have made the Pakistani-Indian nuclear balance look deeply stable by comparison. The implications of Iran becoming a nuclear weapons state would have had global implications far beyond the Middle East for the sustainability of the nuclear non-proliferation regime. Still, the Obama administration could have focused on the nuclear challenge while still doing more to counter Iran's actions in the region, especially in Syria where limited U.S. intervention years earlier might have led to a different outcome. Detractors argue that Obama actively ceded the Middle East to Iran because he did not want to jeopardize the nuclear agreement and saw Iran as a more reliable actor. This was not my experience when I worked the Iran issue in government. First, Obama was very clear about his concerns of getting sucked into a new conflict in the Middle East without a clear endgame. Much of his hesitance had little to do with worry about jeopardizing the nuclear deal but simply a function of his risk aversion and conviction that there were few good options. Moreover, parts of the bureaucracy spent a lot of time thinking about Iran's regional behavior, but for the most part these issues never made it onto the agendas of high level meetings because the president and his team were so focused on the nuclear issue it was hard to break through on these other important but secondary questions. In a normal government policy process issues that were not important enough to go to the top would instead be considered at lower levels, but since everyone knew how personally engaged the president was on the question of Iran no one dared to take action without high level approval, and the ultimate consequence was that many of these plans and ideas simply sat on the shelf. For a president who often liked to say, "we can chew gum and walk at the same time," this was an instance where the Obama administration failed to do that. Iran responded to this American approach with a dual track strategy of its own. On the nuclear program it exercised restrain and ultimately pursued an agreement with the United States, preferring that outcome to crushing economic sanctions, international isolation, and the possibility of military conflict. But when it came to its regional support for surrogates and proxies, it continued to push forward and found little in the way of active resistance. The end result was an aggressive Iran in the region, though one that still valued the engagement that had begun with the Obama administration. When it came to the Saudi Arabia, the question was not how to deter and counter a traditional adversary but instead how to encourage restraint on the part of a long-time ally. Here again the Obama administration was unable to impact Saudi calculus. The Saudis were deeply suspicious of the nuclear talks and viewed the nuclear deal as a possible opening gambit in an overall regional pivot by the United States away from Saudi Arabia and towards Iran. They viewed the Obama administration's restraint in responding to Iran's regional actions as part of this strategy. More fundamentally, the Saudi monarchy simply did not see the world the way Obama did. Where he saw layers of gray in the Middle East driven by multiple factors including fragile domestic governance, they saw a black and white situation where Iran was on the offensive everywhere. What he viewed as nuance and properly weighing risks they saw as hesitation and weakness. This lack of trust in the United States led the Saudis to begin acting out more aggressively on their own out of a position of insecurity - arming groups in Syria, intervening in Bahrain, and most notably launching their intervention in Yemen. The United States tried to reassure Saudi Arabia through major arms sales, partial support for the Saudi intervention in Yemen, high level visits with very impressive delegations, and a comprehensive process to work together on regional security issues. But none of this could ultimately overcome the fundamental distrust the Saudis felt for the Obama administration. The Trump administration has only exacerbated a bad situation dramatically escalating with Iran, jeopardizing the Obama administration's most important contribution to regional stability by attacking the nuclear agreement, and giving Saudi Arabia a green light to pursue aggressive regional policies. On Oct. 13, Trump gave a provocative speech signaling a new confrontational approach to Iran. Unfortunately, the only meaningful policy action in the president's screed was calling into question the viability of the nuclear deal, which had at least for the foreseeable future put Iran's nuclear program in a box. But outside of that, the president's bluster about Iran's behavior has come with no material changes to U.S. policy in the Middle East. Instead, in Syria the Trump administration has focused on the Islamic State and negotiated with Russia over local deescalation zones that can hopefully lead to an end to the conflict, but have raised significant anxiety in Israel that the United States is on the verge of handing Syria to Iran. In Iraq, the Trump administration has realized that a major new confrontation with Iran would only put U.S. forces at risk. While the administration has talked tougher about pressing Hezbollah and cutting off Iranian arms shipments to Yemen, we have seen no meaningful actions nearly a year in to the new administration. The result of this policy is an Iran that is even more unified and aggressive. 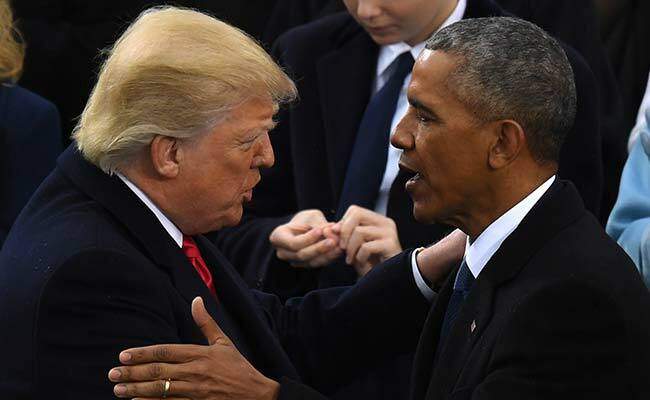 During the Obama administration arguments by Iranian hardliners that the United States could not be trusted and would ultimately violate the nuclear deal had little resonance with the Iranian public. Today it is the consensus position. The Iranian leadership sees tough talk from the United States but little action, and so it continues its aggressive approach in the Middle East, most recently taking the eastern Syrian border town of Bukamal, which could be connected to Shia militia controlled areas in Iraq to give Iran new flexibility in moving its surrogates and proxies across Syria and Iraq . At the same time, this past week the Iranians put out a series of public announcements declaring victory over the Islamic State and taking credit for its defeat while blaming the United States and Saudi Arabia for supporting and building up the Islamic State in the first place. When it comes to the Saudis, Trump and his son in law Jared Kushner have built an excellent relationship with the Saudi royal family - most importantly with Crown Prince Mohammed bin Salman. The president's visit in May was viewed by both sides as nothing short of a smashing success. It may be disturbing for many of us that this close relationship is based on Trump's ability to relate more easily to authoritarian rulers than democratically elected officials. Nonetheless, the depth of closeness and trust could be a valuable commodity if the United States could use it to deepen cooperation with Saudi Arabia on an effective strategy to counter Iran's regional actions. But instead of positively influencing Saudi actions, what we have seen thus far is a perceived blank check from the Trump administration to Salman to pursue whatever policy he would like. Only two weeks after the president's visit in May, Saudi Arabia launched a blockade of Qatar that has distracted and divided the Gulf Cooperation Council and caused it to take its eyes off of more important U.S. priorities such as Iran and the Islamic State. And the recent Saudi move in Lebanon came only days after a visit by Kushner to the kingdom. In both cases Trump tweeted his support for Saudi actions before Secretary of State Rex Tillerson and Secretary of Defense James Mattis managed to walk him back, but the damage was done. Trump's approach, like Obama's, is causing both sides to get more aggressive. The Saudis are now overconfident instead of insecure. The Iranians see Trump as impossible to deal with and confrontation with the United States and Saudi Arabia as the only option. It is not too late for the Trump administration to shift to a strategy that can more effectively manage this escalating regional conflict. With Iran, the Trump administration should shift from a policy of all out confrontation to one of combining pressure and engagement in the region to reshape Iran's behavior. This was the approach the Obama administration successfully used to reshape Iran's calculus on the nuclear program. This would require taking steps that counter Iran's interests in the region and coupling those with private and public messages to explain U.S. actions to set limits on Iran's activity. For example, the United States should more aggressively interdict weapons shipments going to Yemen or even consider destroying them. Rather than just quietly announcing such interdictions as we have done in the past, a highly publicized effort should be made to expose Iran's behavior and embarrass Tehran. As opposed to a quiet U.S. Central Command press release, imagine Mattis giving a press conference with interdicted Iranian weaponry in the background, sending a clear, tough message. In Syria, we should make absolutely clear that Iran must stay off of Israel's border in the southwest and be willing to take a hardline with the Russians or even signal that we would support Israel intervention if this line is not respected. These types of meaningful steps should be coupled with clear, private messages to Iran laying out U.S. redlines. The purpose would not be to escalate with Iran, but instead create effective deterrence and set lines that Iran will not cross. This approach has worked in the past with Iran, when for example it pursued aggressive exercises in the Strait of Hormuz or when it started supplying weaponry to Shia militias in Iraq that the United States found to be particularly threatening to its forces. In both those instances a tough message with targeted direct actions changed Iran's behavior, as it credibly feared a direct military confrontation with the United States. This tougher approach should be coupled with a willingness to negotiate with Iran. At a minimum Tillerson should seek to reopen the direct bilateral channel that existed between former U.S. Secretary of State John Kerry and Iranian Foreign Minister Javad Zarif. This channel was critical in deescalating a possible crisis in Jan. 2016, when two American patrol boats inadvertently wandered into Iranian waters and were taken prisoner. And it is also a critical channel for being able to negotiate on issues such as Syria and Iraq, where Iran's acquiescence will be necessary in any final political settlement that stabilizes these countries and ends the conflicts in them. With the Saudis, the administration should maintain the strong personal rapport that it has established. And it should use the tough steps it is taking against Iran as a reassurance to the Saudis that it means what it says. But it also needs to establish accountability by making clear that there will be no blank check for Saudi Arabia in the region. We can work together to counter Iran and we will certainly support the reform agenda that Salman appears to be pursuing. But we expect the Saudis to take steps to avoid a humanitarian crisis in Yemen by ending the blockade and being more flexible about entering a political process. And we expect them to consult with us before taking rash steps such as picking needless fights with Qatar or destabilizing Lebanon. None of this will be easy, and deep animosity and regional competition between Iran and Saudi Arabia is here to stay for the foreseeable future. The United States cannot singlehandedly solve this problem or change the two sides' perspectives about each other. But it can pursue a policy that more effectively deters Iran and restrain Saudi Arabia from taking destabilizing actions detrimental to U.S. interests. 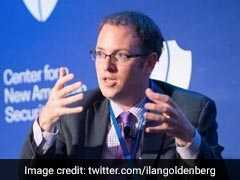 Goldenberg is a senior fellow and director of the Middle East Security program at the Center for a New American Security.